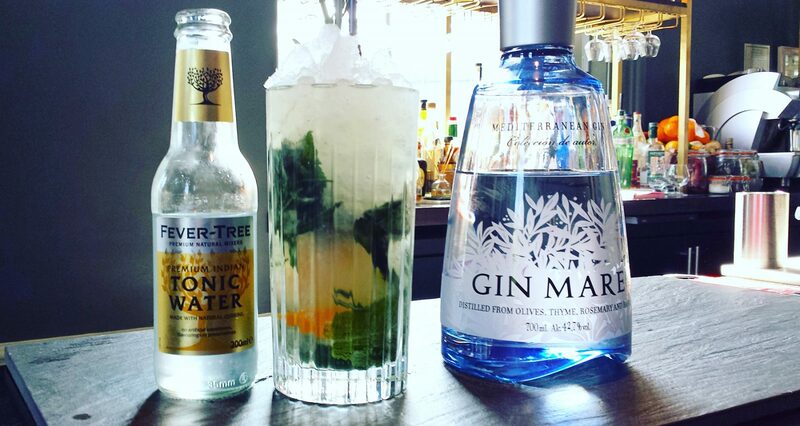 With World Gin Day on Saturday 11 June, there was only one spirit we could choose for our very first Cocktail of the Month: gin. Head Bartender Alex Warren puts his own slant on the mojito – traditionally made with rum, this cocktail is perfect for summer. You’ll need a 12oz highball glass, a bar spoon and a cocktail muddler. – In a 12oz highball glass, muddle the lime, orange and lemon wedges to release the juices. – Add a handful of fresh mint and add the leaves from one of the rosemary sprigs. – Add 50ml of Gin Mare – this gin is infused with herbs, so works perfectly with the fresh herbs in the drink. – Add a scoop of crushed ice and mix. – Top with more crushed ice and Fever Tree tonic water. – Garnish with a sprig of rosemary.